Recently I posted a photo from my Pinterest board titled 'Speaks to Me', which are images that resonate with me a little bit deeper than usual. I'm endeavouring to blog about a few of them to think about what it is that I identify with in the images. 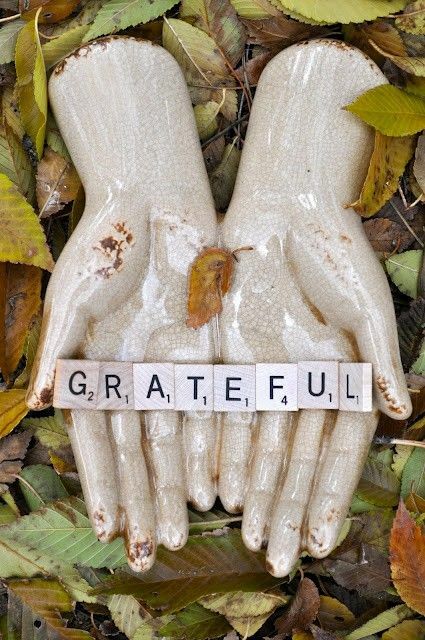 Today I am really feeling this image, which is a photograph of a pair of antique-looking ceramic hands holding Scrabble tiles spelling 'grateful', on a bed of fallen leaves. Today I am feeling grateful, and also noticing how often we lack perspective in the things that we feel disappointed or annoyed with in our lives. It never fails to amaze me how much easier it is to adjust our attitude than it is to get the world to change to suit our preference, it's like the worst kept secret ever and yet so many people never catch on, don't even try. This photo appeals to me aesthetically as well as for what it has to say. I don't have any information about it, the link just goes to a tumblr blog. It is lovely, though, and I'm glad someone went to the trouble to take their pocket of Scrabble tiles out into the world with them. 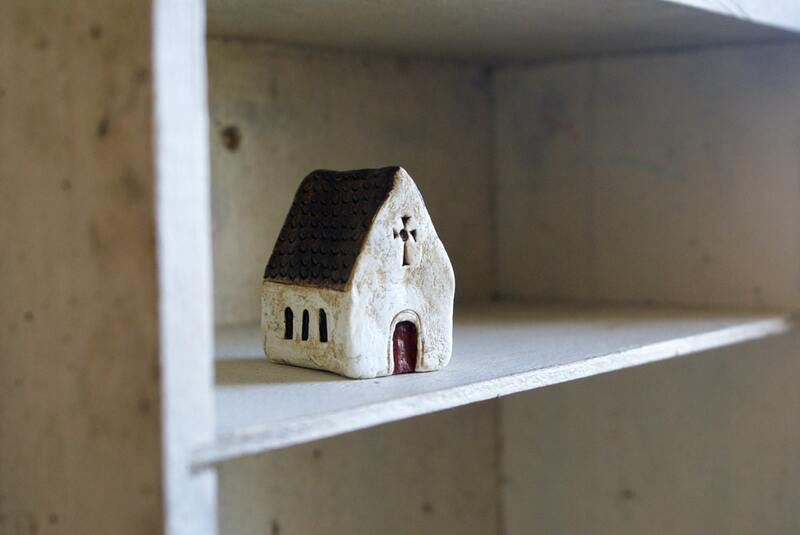 Recently I started making little churches to sell alongside my little Irish cottages on Etsy. When people have a little tiny house it seems to trigger a desire to have a little tiny village and I received requests to make some other buildings. I came up with a design for a little whitewashed stone church, wanting it to be contemporary to the little cottage and distinctly Irish looking at the same time. I based it on the beautiful church at Gougane Barra in West Cork, known as St. Finbarr's Oratory, which was built in the 19th century on an ancient monastic site. 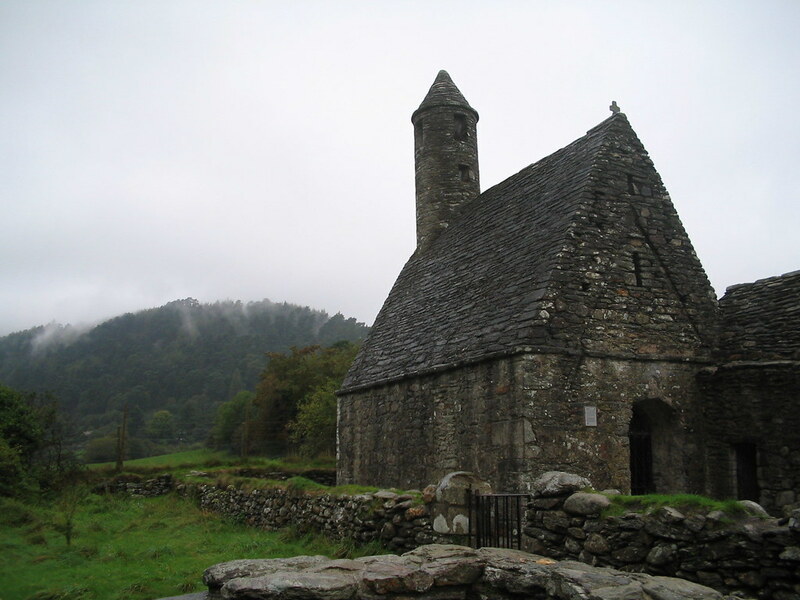 Another famous Irish church with this distinctive shape is St. Kevin's Church in Glendalough, Co. Wicklow. This church also has a round tower belfry and a smaller chapel attached, and was built in the 12th century. This monastic oratory shape with its distinctive sharply pitched roof dates far back into Ireland's Christian history, to the dry stone churches such as Saint Macdara's dotey little chapel in Connemara and the primitive looking Gallarus Oratory in Dingle, Co. Kerry. 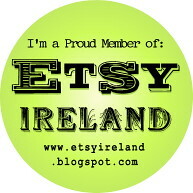 You can read more about Ireland's monastic churches here. 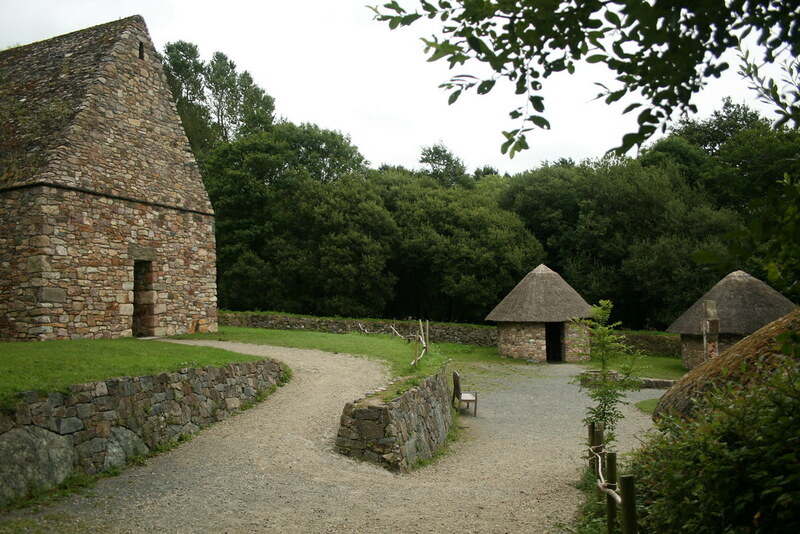 A reconstruction of such monastic oratories has been built in the Irish National Heritage Park in Co. Wexford, which is particulary pretty. My little paperclay Irish churches and cottages are available in my Etsy shop and each one is made to order, hand sculpted and painted. Watch for new little buildings coming soon! A busy Easter bank holiday weekend, have five ring pillow orders to fill and ship out for tomorrow, have spent the days cutting and stamping and sewing and stuffing. Most especially fiddling to get things just in their nicest, best order. Love being so busy with orders, wish every week brought me so many! In 'real life' we have four weddings this week in the flower shop, everyone is tying the knot it seems. I love making wedding flowers, maybe not so much as making pillows but close. Wish I could sew all day. In the course of my serious Pinterest addiction, I run across images that don't fit into any particular board. They are not flower shoppy wedding images, or old torn up rusty objet, or some sort of fabric sewn onto some other pretty thing. Sometimes it's just something I love and want to look at all the time and I can't pin down just what usefulness it has to me so I pin it to a board I call 'speaks to me'. 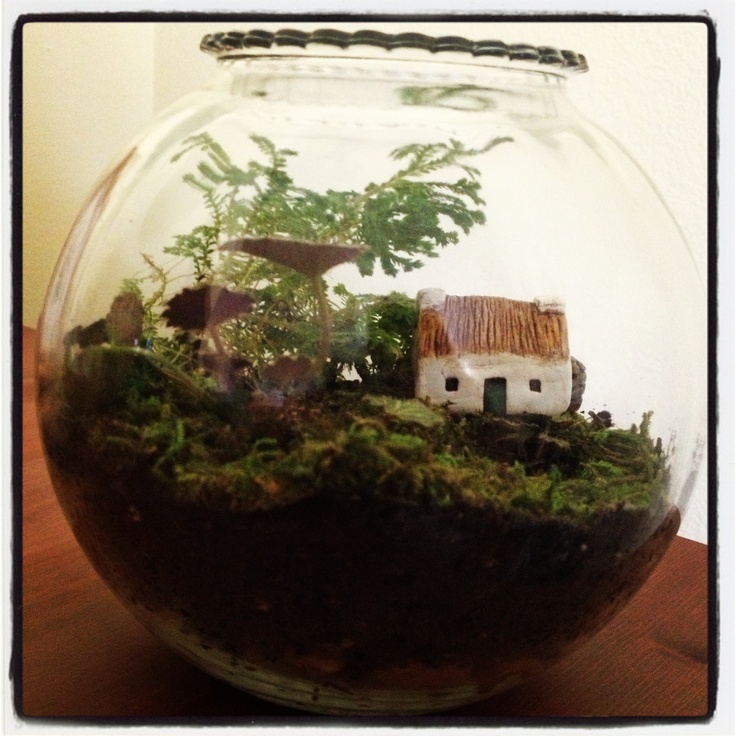 I thought I'd blog about them and explore what exactly they're saying. This image turns out to not be a paper collage at all but a digital image. I kind of love this sort of digital collage, I love all the papers and elements in the same way I love and hoard real ephemera. There is no name of the artist but the image links back to where it was originally posted. I love the colours and vintage paper effects. The image is about inner dialogue, exploring the word 'soliliquy' and how it is a form of intrapersonal communication. The two silhouettes reflect the positive and negative, pessimist and optimist, self-loathing and confidence. My whole life I've always lived with a really terrible inner voice that can be sadistic and cruel and never lets me forget any stupid thing I'd ever done. The internet and it's anonymous intimacy has taught me that rather than some horrible flaw it just happens to be really common, and nearly everyone goes through it, often so badly that they too think they have a horrible flaw. We don't, we just have a part of our brain that doesn't want us to repeat our mistakes and isn't kind about it. I love this image, it illustrates my own inner dialogue and reminds me that my occasional self loathing is nothing special, I'm no more loathable than anyone else, including a lot of people I really like. 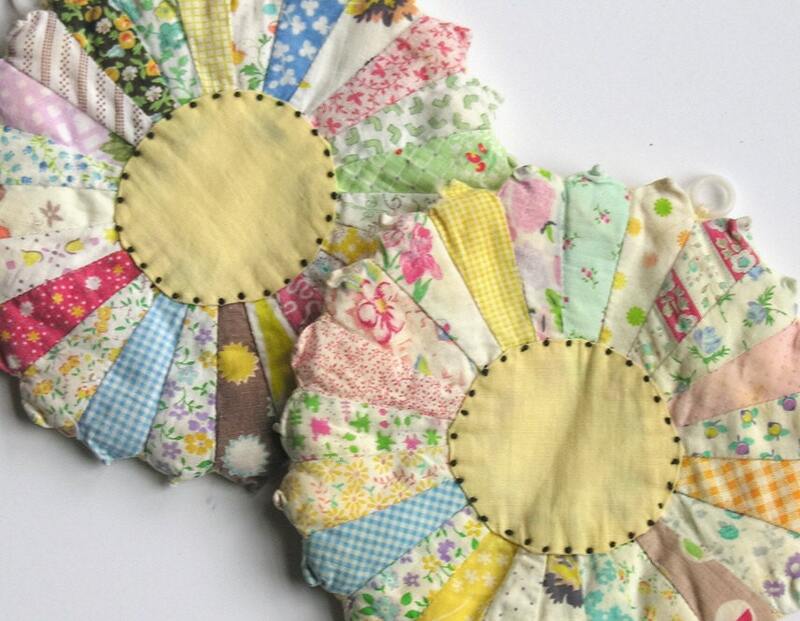 Years ago I found these 'Dresden Plate' applique panels in my late Grandma Beck's things. 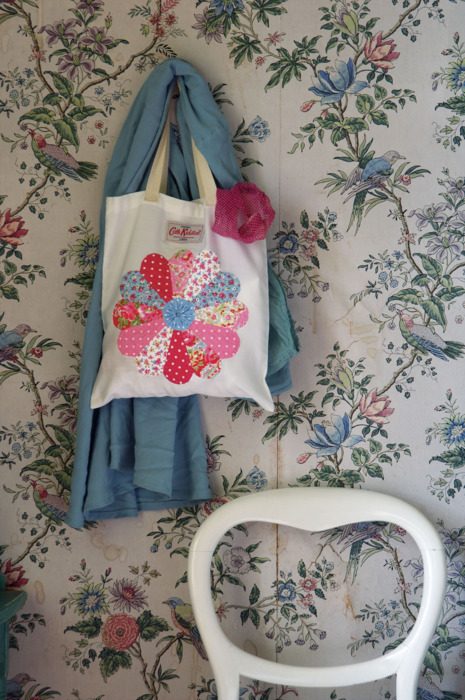 They look like they were worked in the 40s or 50s, lovely old printed cottons. 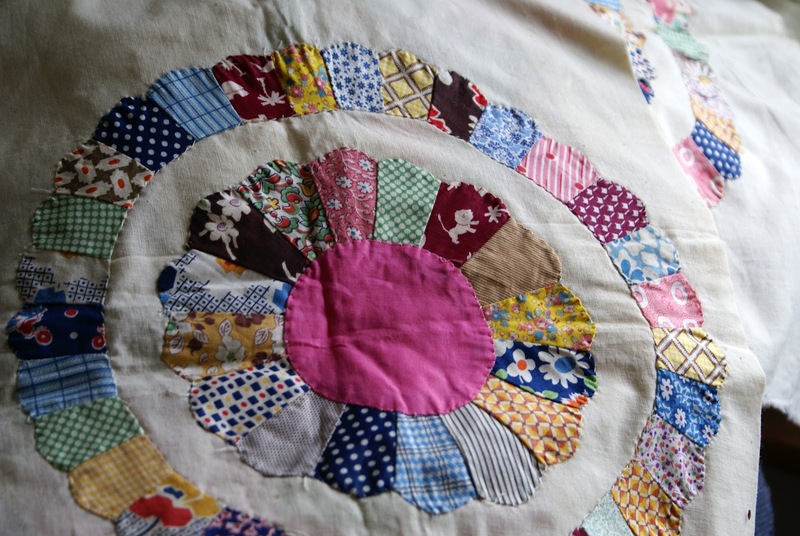 My Grandma saved every bit of fabric, it doesn't surprise me that she tried her hand at these patterns that use up the smallest scraps. I am contemplating what to do with them, there are five which makes a bed size quilt a tricky proposition. Maybe a smaller quilt with four of the plates, and one framed to hang? 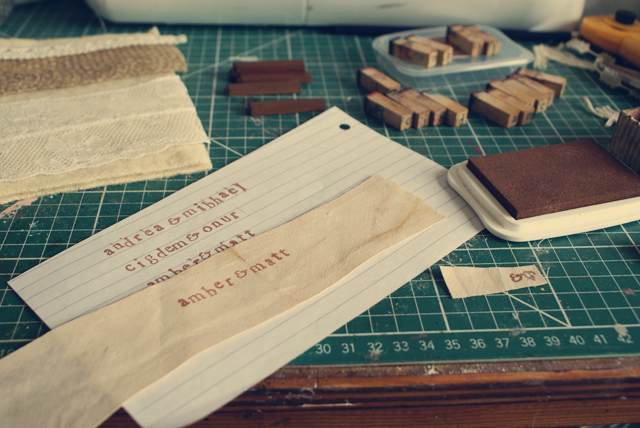 They are worked on to unbleached calico, and some of the basting stitches haven't even been removed. My Grandma sewed a lot, but this is the only quilt I've ever seen of hers, I'm delighted she never finished it or she would have given it away. 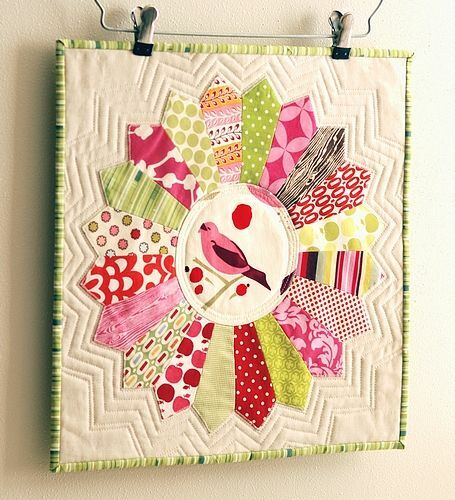 I love paper piecing anyway, so I think this pattern might work really well for me. I've been looking at other Dresden Plate variations on Pinterest, lots of beautiful work there. 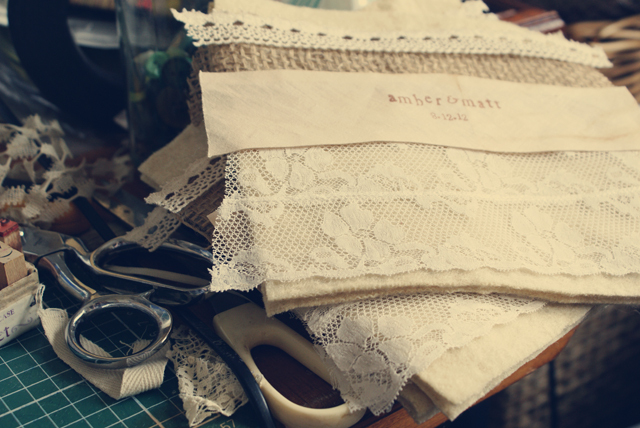 I'd like to try it in some of my own colours and mixing in some lace and buttons as I normally use. Here are some other plate patterns I love! Looking at these, I think my Grandma's are the nicest! The colours are still beautiful after being stored for all these years.